provision of educational programs and services or employment opportunities or benefits. The following office has been designated to handle inquiries and complaints regarding the non-discrimination policies of the above mentioned entities. Presented to Gulfport School District. 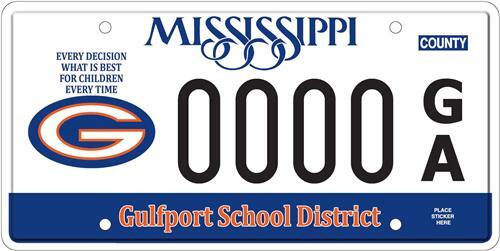 . .
Show your support for Gulfport School District by purchasing your car tag today.